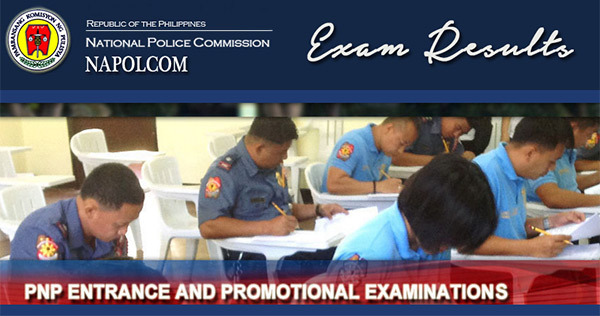 The results of the Philippine National Police (PNP) entrance exam conducted in October 2015 are out. Napolcom has released the passers list. 037844, CHUA, RENZ JAYSON . 057579, PANTI, PAOLO GLENN . 058345, TOLEDO, MARJON FRANCIS .